As you well know, I hate spending money so just popping off to the garden centre for some compost is not really an option. Last year some kind sole -who’s identity seems to have been lost – dumped about 10 tons of well rotted manure at the allotment for anyone to use. This was great and it allowed me to fill my raised beds without having to worry were I was going to get materials from. This manure pile has now all gone so now I will have to be a little more inventive. 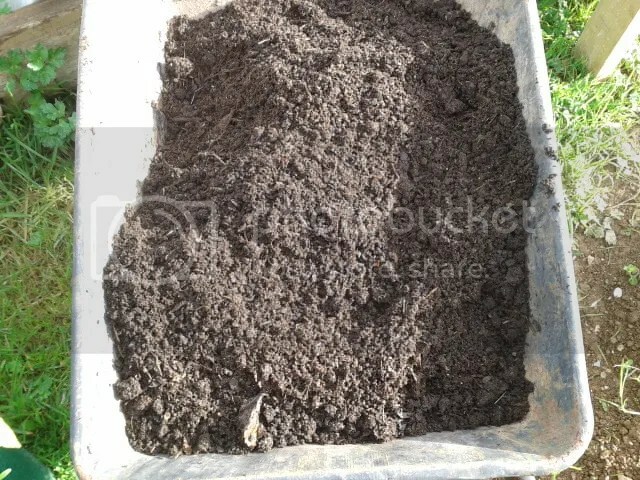 I filled a wheel barrow with this mixture and took it back to the plot. This is what it looked like. I decided to sieve this stuff to see what I ended up with and the results were great. Nice rich dark and crumbly. Lovely. 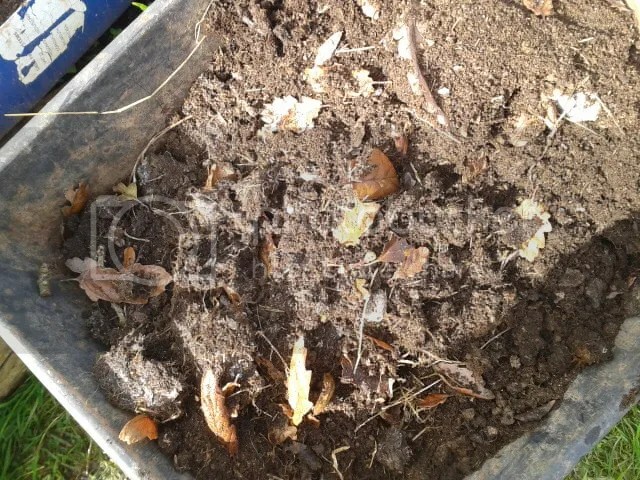 As I sieved the mixture I took all the plastic and stones out and what I was left with was lumps of dried manue, twigs and leaves etc. I put this in the compost. 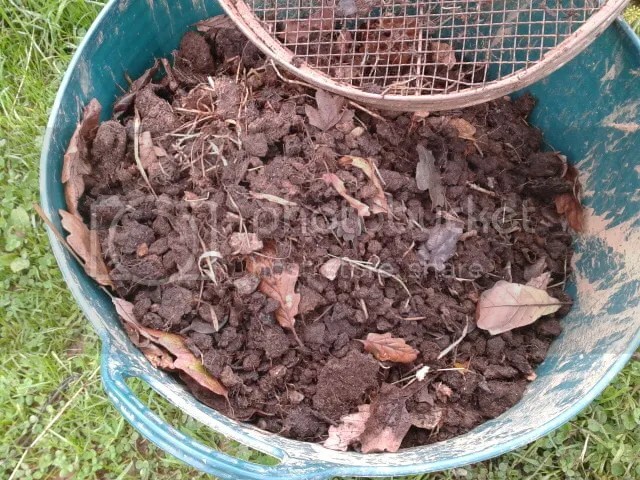 I wanted to add some more organic matter to the soil so I turned to the composted leaves from last year. These have really broken down nicely and was full of worms. This is natures gold. People rake their leaves off the lawn and the drive and take them to the dump and then drive to the garden centre and buy compost. Leaves are the best thing you can compost. It is the what nature makes nice new topsoil. Everybody should compost their leaves each year. I am now composting other peoples leaves as well. This stuff really hold onto water so the barrel will not dry out even if I don’t water it for a week or so. It really does look like a fantastic growing medium but time will tell. Next I have to decide what I am going to grow in the barrel garden. I think I will put some of my onions on the sunny side of the barrel and we do have a lot of strawberry plants that need putting somewhere. I really want it to be a random mix of plants. 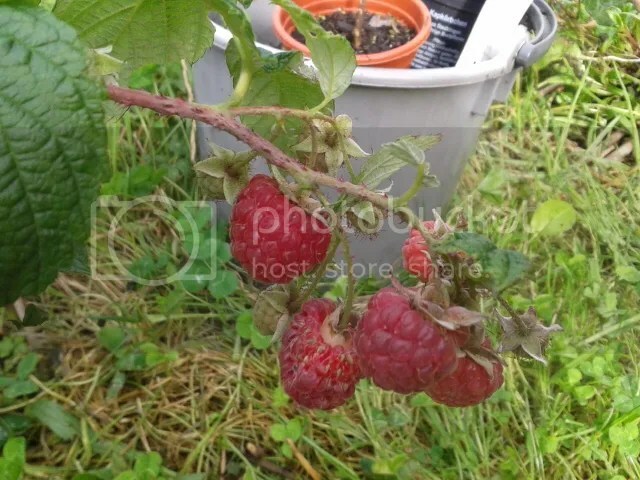 I noticed our little raspberry plants we were given last year have produce a small amount of berries. They will be better next year. 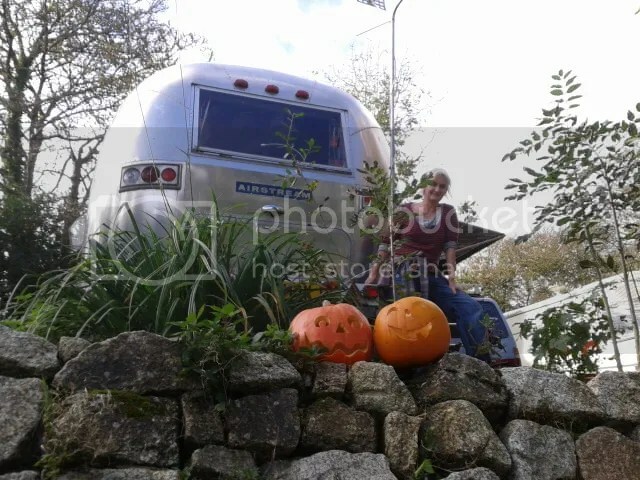 I hope you had a good Haloween or Allantide as it is called in Cornwall. 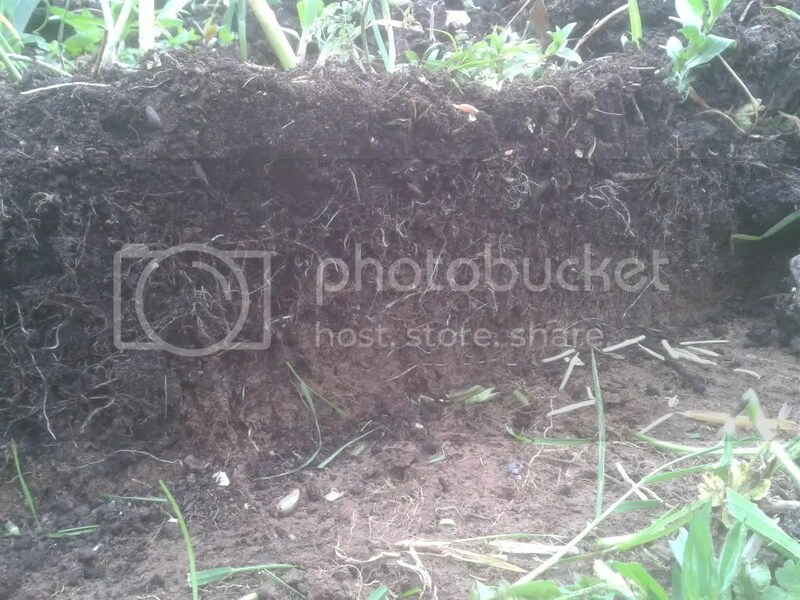 Categories: Frugal Living, Gardening, Self Reliance | Tags: allantide, barrel garden, Compost, Manure, worms | Permalink. Last year we didn’t grow that much veg because we started late in the season and we didn’t really have anywhere to bring on seedlings etc but this year we want to grow a lot more so we needed another raised bed. 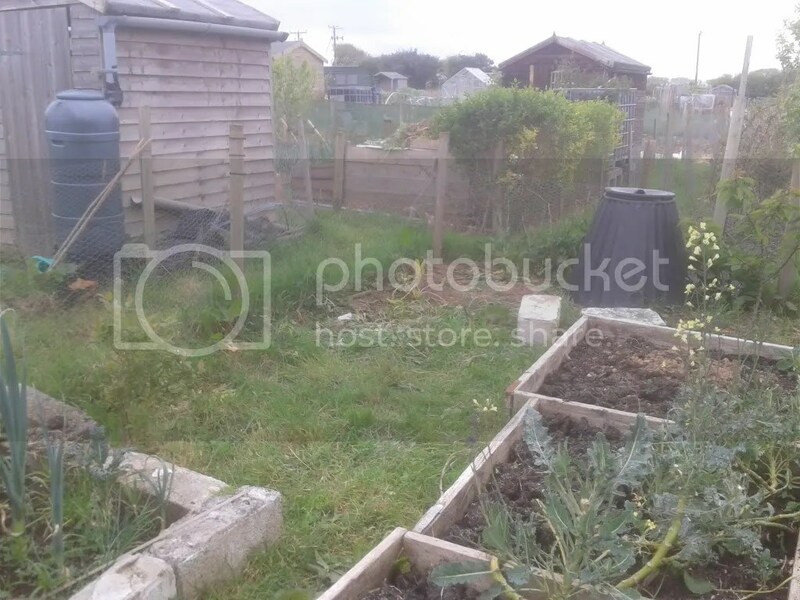 We decided to build it in this unused part of the allotment that had an old plastic composter and a pile of rubbish left by the last plotholder. We are basically extending an existing bed which was really interesting because I needed to remove the blocks forming the end of one of last years beds and it gave me a chance to see a cross section of a year old no dig bed. 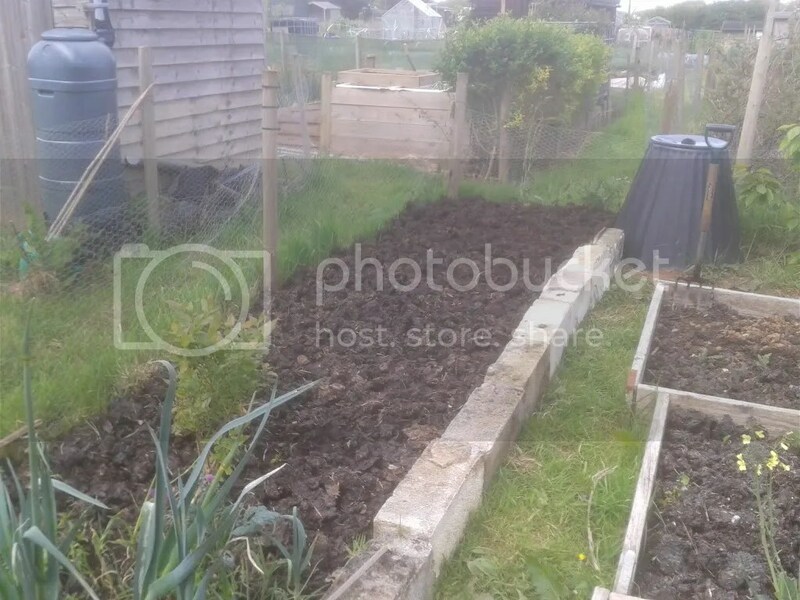 You can see that the cardboard and the manure has completely broken down into a lovely rich soil and the original topsoil from the allotment has been drawn up into the raised bed presumably by worms. You can see the original soil level and the lighter coloured soil has been drawn up a good 4 inches. 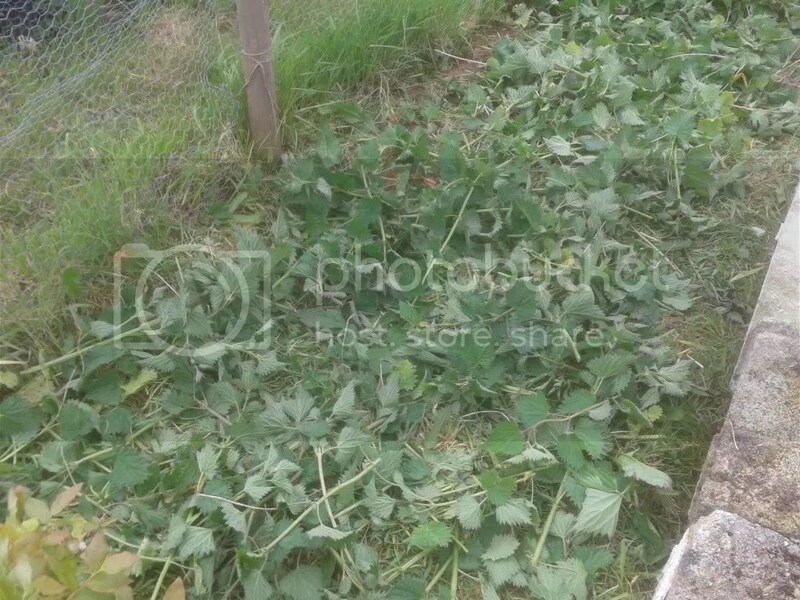 I started by cutting the grass and weeds with the shears, I left all the cuttings in the bed as they will rot down and add to the fertility of the soil. Next I put a good 6 inches of well rotted manure. And a very thin layer of grass clipping. It is important not to put too much grass on at one time or they wont rot down quickly enough. 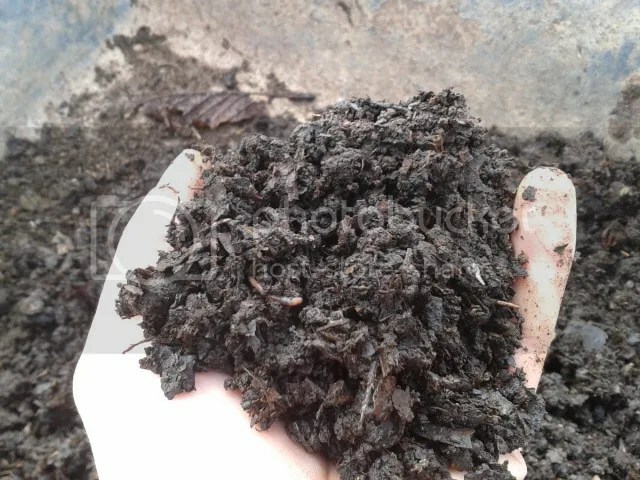 And then a couple of inches of compost which gives a nice layer to plant into. 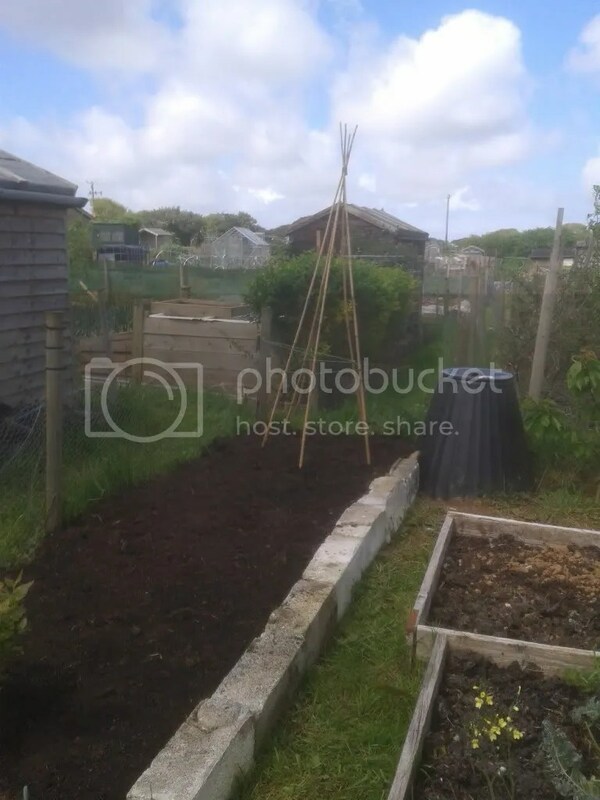 So this is the finished bed complete with canes for the runner beans. The bed was given a good drenching between each layer. Here is a great video on how to build a no dig bed. 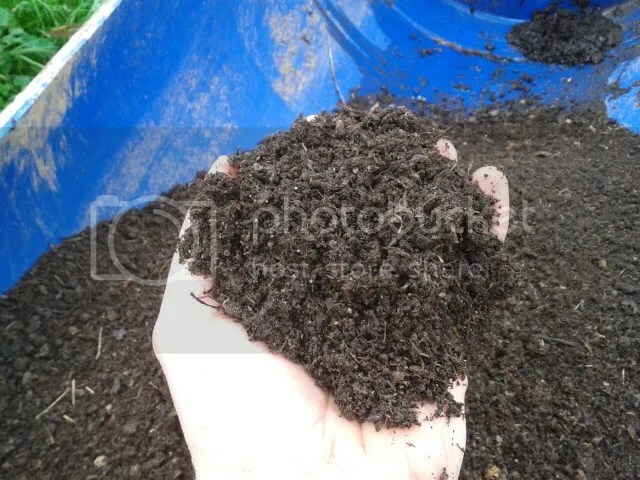 Categories: Gardening | Tags: Compost, Gardening, Grass clippings, Manure, Nettles, No Dig, Raised Bed, Runner Beans, self reliance | Permalink. One thing I hate about gardening is digging and it turns out the garden hates it too. It occurred to me a number of years ago whilst driving in the car that the hedgerows and the verges looked lush and vibrant all on their own without much effort on the part of humans. No one is out digging the verges over every year. They are not out there fertilising, watering or weeding the hedgerows. How come they just do their own thing and do so well. This just remained a weird thought rattling around in my head until I started to listen to Jack Spirko at The Survival Podcast going on about Permaculture. 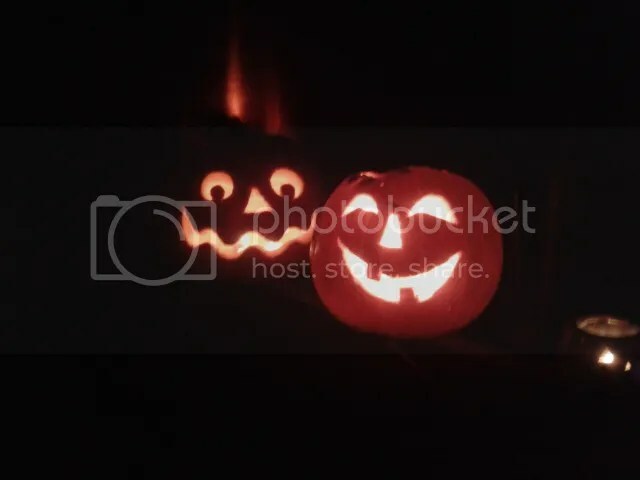 Until I heard Jack talk about permaculture I thought it was some hippy dippy nonsense involving the phases of the moon and dancing naked around the compost heap but Jack is definitely not a hippy and what he was saying really made sense. I don’t want to go into Permaculture too much in this post as I’m sure I will cover it more in the future. 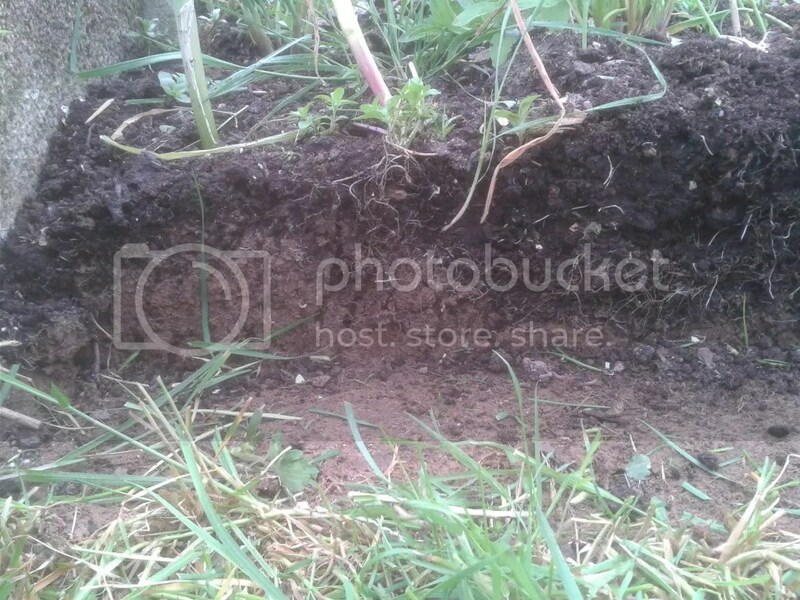 So I decided to start using Permaculture principles on my allotment and the fist thing we tried was not digging the soil. All the other plot owners think I am nuts and and think you must dig the soil every year. When I ask them why they just say something like “It’s always been done that way”. “So how do we plant plants if you don’t dig?” I hear you ask. Good question. You mimic what nature does and you add material to the surface and then you plant into that. We do have to watch out sometimes with this approach. In the tropics -where a lot of permaculture is practised- they don’t have a slug problem like we do here in damp Cornwall. If you mimic nature and mulch with leaves etc you may end up with a huge slug problem. Because of this I will be using composted material and or manure as a mulch. We have tried a couple of methods with our grow beds. One with cardboard and one without. It is much easier if you don’t use cardboard and we didn’t end up with more weed in the beds we didn’t use card. All we did was build some raised beds using whatever we could find for free locally. A couple of beds were made from broken scaffold boards and another was made using discarded breeze blocks from a garage that had been knocked down. 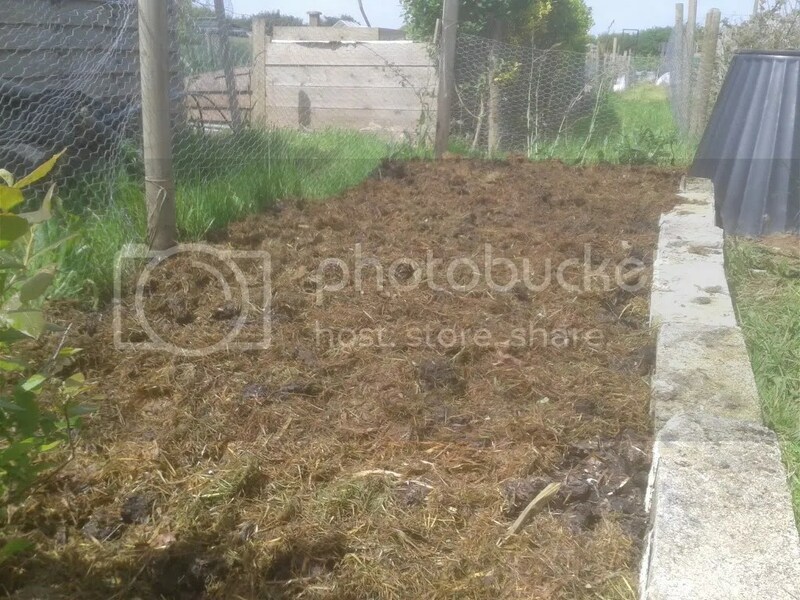 I then cut the grass and weeds inside the beds with a pair of shears and filled the beds with a mixture of home made compost and manure from a local stables. We then planted straight into these and the results were amazing considering we didn’t get the allotment until August last year. This is still at the experimental stage for me but so far I am really pleased with the results. We have not really done much to the beds except occasional mulching over the winter and there is very little weeding to be done before re planting. I will be re visiting no dig and other alternative growing methods throughout the coming season. Categories: Gardening | Tags: Charles Dowding, Compost, Gardening, Jack Spirko, Manure, Mulch, No Dig, Permaculture, The Survival Podcast | Permalink.